Camco's Antifreeze Concentrate is sold in a convenient 2-pack. It provides all the strength and protection of Camco’s regular antifreeze in an easy-to-measure bottle. You can store the concentrate until you need it, and once you do simply dilute it with water and use it the way you would any other antifreeze. Its non-toxic, non-hazardous formula is safe around pets and kids so you don't have to worry, and it’s even 100% biodegradable. 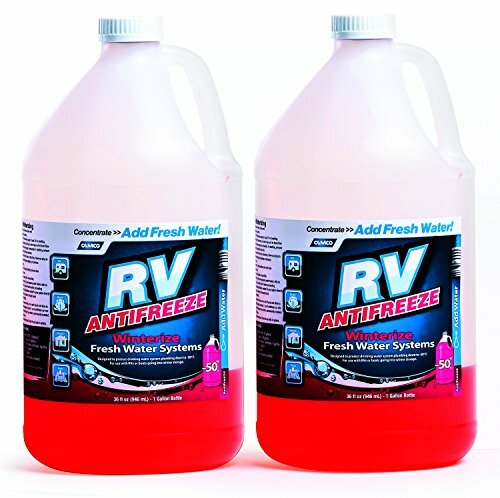 Camco's Antifreeze Concentrate is great for winterizing your RV, boat, home or pool.